Millions of people around the world suffer from high blood pressure. It is relatively more common in older adults. 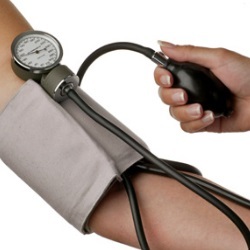 There are various causes and symptoms of high blood pressure. Symptoms can be mild to moderate in nature. Headache, epistaxis (nosebleed), shortness of breath, and blurred vision can be experienced by patients suffering from high blood pressure. These symptoms can occur individually or in a cluster. Normally, blood pressure symptoms are mild in nature. The causes of high blood pressure include age, body weight, and heart disease. Let us try to understand more about the causes and symptoms of high blood pressure. This is one of the primary causes of high blood pressure. Patients who have a family history of high blood pressure or heart disease are more likely to suffer from high blood pressure at a relatively younger age in life. Individuals who have a family history of other disease conditions like kidney disease and thyroid disorders can also have a high risk of developing high blood pressure. Therefore, it is wise to keep a check on your blood pressure if you have a family history of it. Stress is related to a great majority of diseases. However, it plays a significant role in the development of high blood pressure. Stress can trigger negative chemical changes in the body. It plays an important role in creating cortisol imbalance. When an individual is in stress, the body creates hormonal imbalance which can consequently make the heart to pump blood faster. This narrows the blood vessels. These functions in the body can result in high blood pressure. Fast paced life of the 21st century can trigger many stressful circumstances. Therefore, it is important to practice stress-reducing activities. This is the most common symptoms of blood pressure. Mild intermittent headache is experienced by almost every individual who suffers from uncontrolled high blood pressure. Intensity of headache depends on the severity of high blood pressure. Headache is more common with people suffering from high blood pressure in the later years of life. This is because their cardiac processes are weak and any change in blood pressure can have apparent symptoms. In severe cases, it can present itself as a throbbing sensation in the head. It is known widely that our heart beats harder during a high blood pressure episode. This can result in chest pain. The chest pain often occurs as mild discomfort. However, high blood pressure associated with heart disease can cause significant chest pain. It is moderate in intensity. Chest pain can also be associated with difficulty breathing or shortness of breath. Chest pain with chronic high blood pressure can be a sign of underlying heart disease like arterial damage. However, it is wise to consult with your physician. It is not uncommon for people suffering from high blood pressure to feel uneasy sensation in the chest. High blood pressure can result in irregular heartbeats. It can lead to arrhythmias or palpitations of heart. This can be a concerning medical condition. In arrhythmias, the heart can beat abnormally fast resulting in a pounding sensation in the chest. Fast heartbeat is medically known as “tachycardia.” Because of this, irregular heartbeat can lead to weakness and dizziness. Arrhythmias are more common in patients suffering from chronic high blood pressure. There are various causes and symptoms of heart disease. The direct causes of high blood pressure are unknown. However, above-mentioned causes play an important role in the development of high blood pressure.